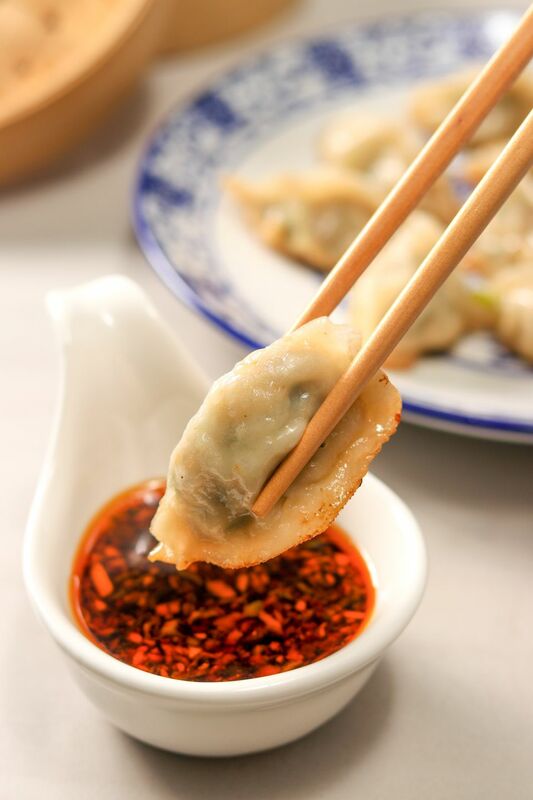 Chinese potstickers, dumplings, and jiaozi (dumplings made with a wheat flour dough) have always been crowd-pleasing dishes in Chinese cuisine. These tasty appetizers have been around for at least 2,000 years, and come in a wide range of varieties. The wrappers and fillings can be sweet, spicy, or savory, and can be meaty, vegetarian, or even vegan. Cooking options include steaming or frying. Of course, the dipping sauce you choose for your potstickers can make or break the experience. Many people offer several sauces as a way to provide variety and allow guests to choose their favorite. Here are five unique recipes for dipping sauce. Try them all, and pick your favorites. Mix everything together and all to rest for at least 30 minutes to allow all the ingredient’s flavors to combine together properly. Store in a sealed container in the refrigerator until ready to use. (Use within 3 to 4 days). This is one of very basic dipping sauce for dumplings/Jiaozi in the East. Sichuan pepper oil in this recipe is just optional, you can also use chili oil if you like. Rice vinegar is also optional. I personally don’t like adding vinegar to my dipping sauce for potstickers, dumplings or Jiaozi. But some people love it! This dipping sauce will give your potstickers a “kick.” It’s a mind-blowing dipping sauce for people who love spicy and sour food. This dipping sauce is inspired by the dish “Sichuan Red Oil Wontons” and it tastes spicy, salty and has a nutty flavor that is full of fragrance. This dipping sauce is inspired by Japanese cuisine. Some people might like this flavor but others might think the sesame sauce is a little bit too strong. It’s a very different kind of dipping sauce for potstickers. If you feel a bit bored of the basic potstickers dipping sauce then you can give this sauce a go! You can adjust the amount of each ingredient used in all of the recipes to suit your personal taste. For example, if you like your sauce spicy, put double the amount of chopped chili in the sauce. If you like your dipping sauce sweeter then add an extra 1/2 teaspoon of sugar.